Ballindalloch is hailed as Scotland’s first single estate distillery, and the only one to operate within a castle’s grounds. 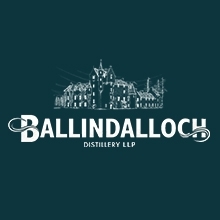 Ballindalloch's new make is best described as robust and fruity, although without any mature spirit the finished whisky will no doubt develop additional characteristics as its life in a combination of first and refill barrels, first and refill hogsheads and first fill Sherry butts takes hold. 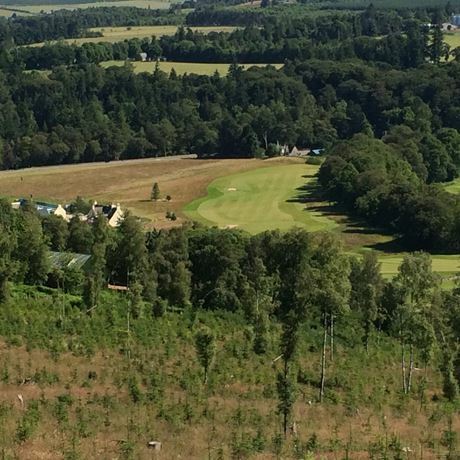 While Ballindalloch is one of Scotland’s newest whisky distilleries, and perhaps one of the prettiest, its story runs as far back as the 16th century. Built within the grounds of Ballindalloch Castle on the banks of the River Avon, the distillery marks the return of the Macpherson-Grant family to the distilling industry. The castle itself was built in 1546 and has been home to the Macpherson-Grants ever since, but it was just up the road at Cragganmore that the family first invested in Scotch. Sir George Macpherson-Grant leased part of the Ballindalloch estate to distiller John Smith to build Cragganmore Distillery in 1869. After Smith died in 1923 the family became joint owners of the distillery with White Horse Distillers. The Macpherson-Grants remained involved with Cragganmore for the best part of the 20th century, eventually selling their stake in the distillery to DCL in 1965. It took the family almost 50 years to return to whisky once more. Come 2011, Guy Macpherson-Grant, 23rd generation of his family and current occupier of Ballindalloch Castle, began construction of a malt whisky distillery in a 19th century farm steading, making it Scotland’s only whisky distillery to operate within a castle’s grounds. 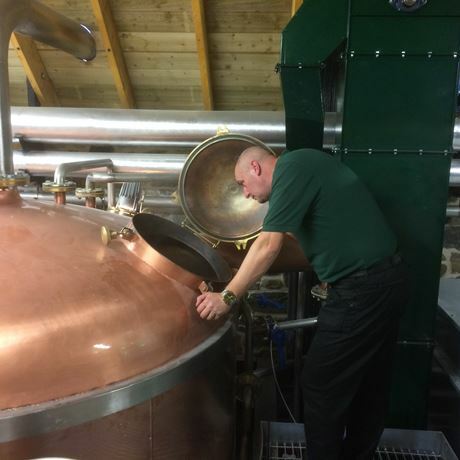 Hailing itself as 'Scotland’s first single estate distillery', Ballindalloch uses barley harvested from its own fields and feeds its award-winning Aberdeen Angus cattle on the draff. 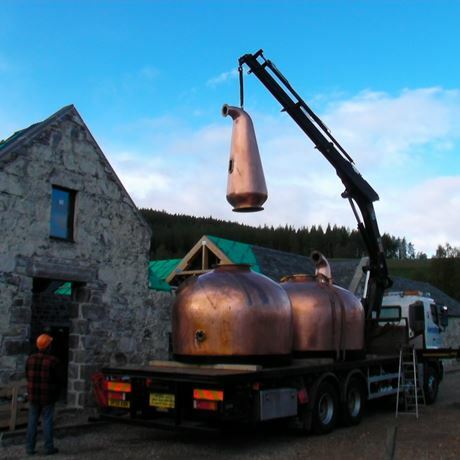 Production officially began in late 2014, although the distillery was officially opened by a visit from the Duke and Duchess of Rothesay (Prince Charles and Camilla, Duchess of Cornwall) in 2015. 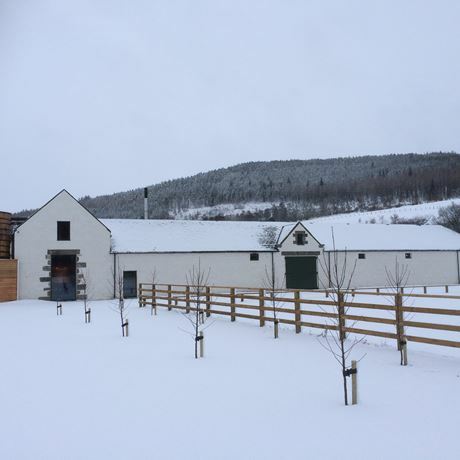 The Macpherson-Grants have committed to waiting at least eight years before bottling any of Ballindalloch’s whisky, although visitors to the site will be able to sample some of the family’s private casks from Cragganmore. 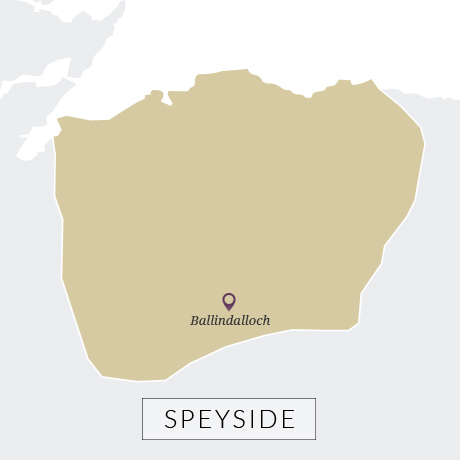 Company established to oversee the build and operation of Ballindalloch distillery in Banffshire. The peated single malt produced at Speyside’s Tomintoul distillery, near Ballindalloch. Cragganmore is noted for its complexity. One of the oldest distilleries in Speyside and one that still uses direct fire to heat its stills.